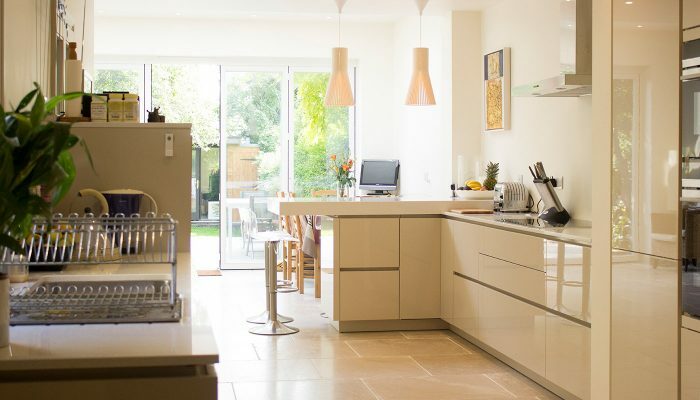 After living in our house for almost 5 years, we realised the need to create a better flow through the house along with a desire to enlarge the kitchen/dining and entertaining space that looks out to the garden. 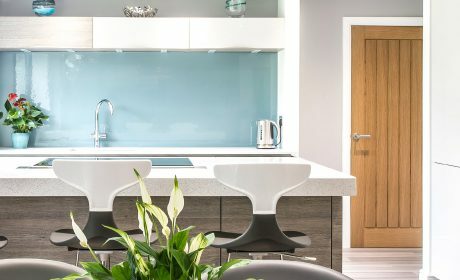 I had visited several kitchen companies and received several designs and quotes, but found that Kitchenology offered a more complete service from start to finish as well as being competitively priced. 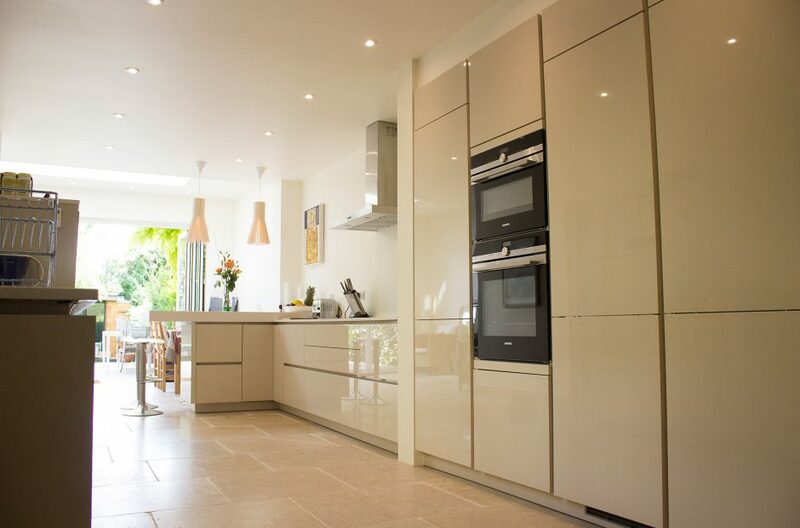 I liked their kitchens and felt that the choice of colours and styles would suit our space. 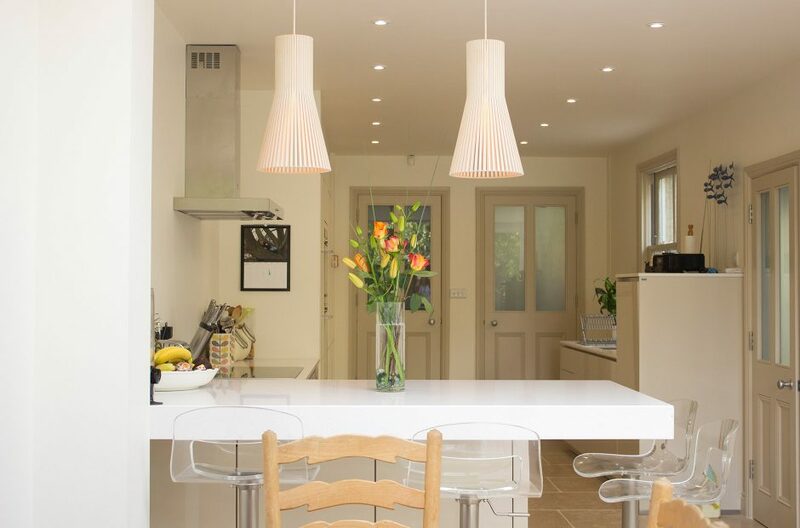 Jen designed the kitchen and seating area to suit the space, taking into account our requirements such as keeping a light and open feeling to the space, and really thought about the way the kitchen would be used in her design. 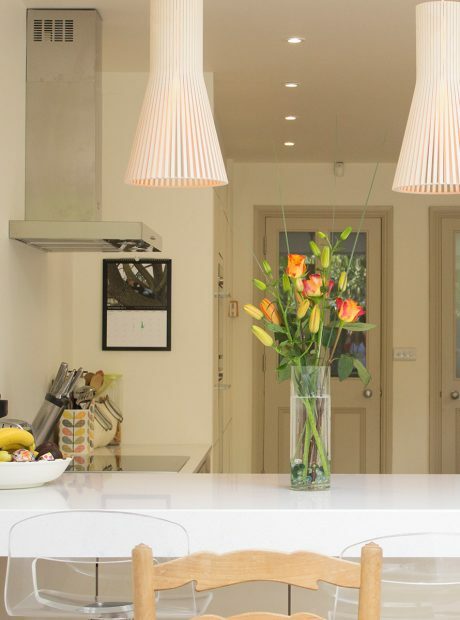 What specifically was your favourite part of your Kitchenology experience? Jen was able to guide the selection of high quality fittings and appliances that really set off the kitchen and made the task much easier. 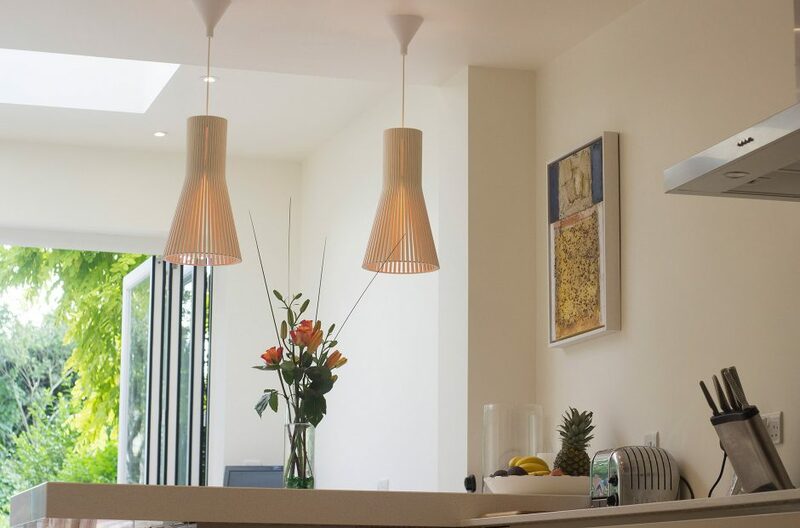 She liaised directly with our architect to keep him informed of the design and any updates along the way. 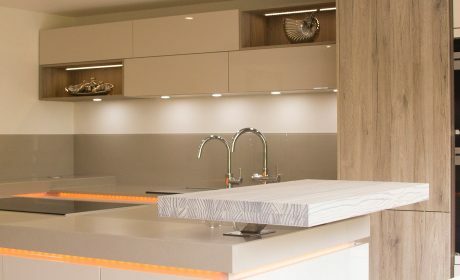 Tim was able to meet with the builders before the kitchen was fitted, to ensure that the space was prepared accordingly and that they knew what they needed to do afterwards. 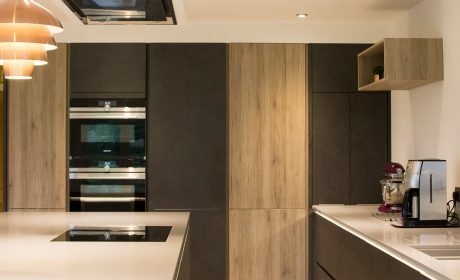 Kitchenology have been very helpful and most responsive throughout the process. We are completely delighted with the end result. 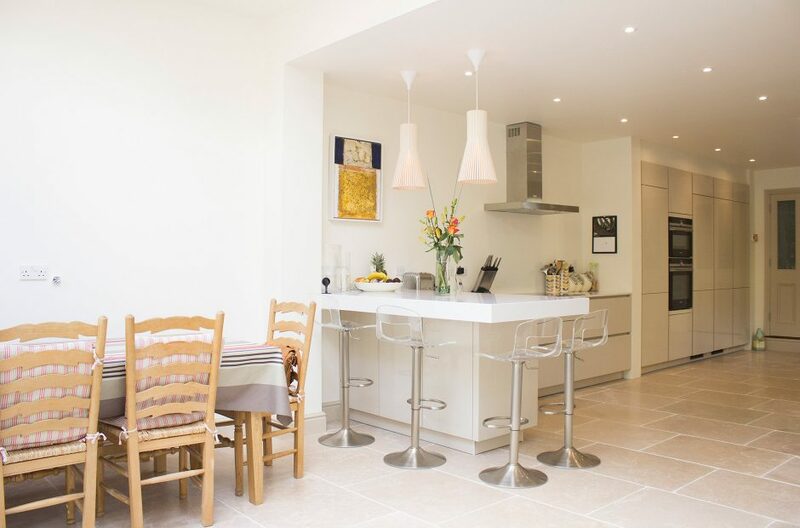 It is a wonderful warm and friendly space now with a modern contemporary feel. It has achieved the light and airy openness that we were looking for.